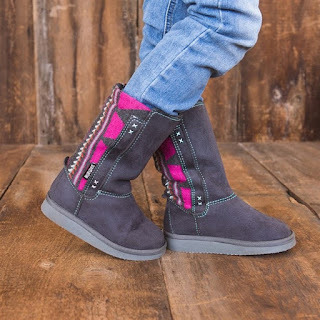 Head over to get this pair of MUK LUKS ® Girl's Stacy Boots for ONLY $17.99 Shipped (Retail $47.99)! Fun, stylish &amp; looks just like Moms! MUK LUKS® Girl's Stacy Boots are the perfect addition to your Mommy-and-Me collection of MUK LUKS® footwear. Durable knit back inset accents the soft faux suede upper. Wipe with a damp cloth to clean, no bleach and lay flat to dry. Imported.